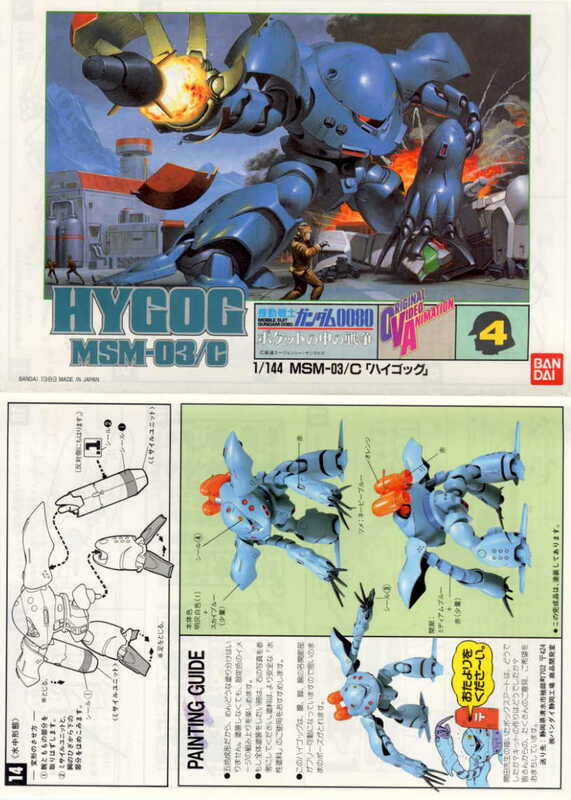 This is the Hygog appeared in the OVA War in Pocket. Fully poseable. A lot of fun playing with the two arms. 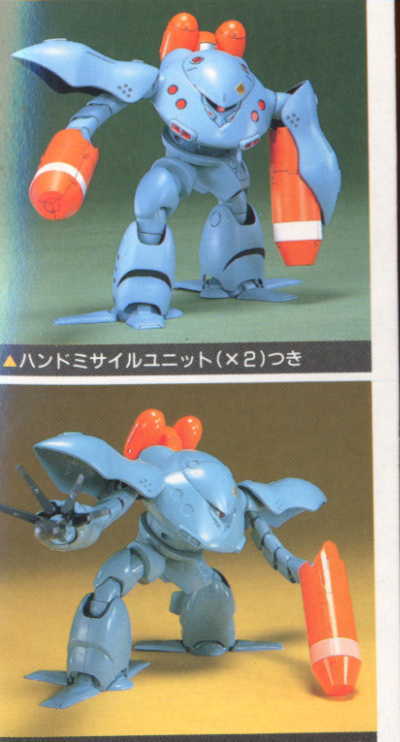 Two long big shoulder armor can be posed in diving mode. Rockets can be covered inside the orange colored shield when not fired. The shield can be removed and the position of claws can be changed. The two arms can be lengthed like a spring. Booster on the back. See pictures below.